What does vitamin C do to prevent cancer? Health benefits of vitamin C are primarily due to the protective role it plays on your body. That's why you need a daily supply of it. What does Vitamin C do? It makes your skin clear and protects your gums, lungs, cells, immune and detoxification systems. 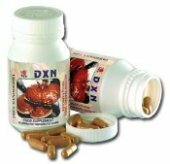 It provides preventive health effects against cancer and other diseases. Health benefits include . . .
proper absorption of iron, which is important if you are anemic. This leads to benefits such as prevention of lung-related health problems such as the common cold and other respiratory infections. When your immune system experiences a lot of stress, it can result to depletion of ascorbic acid in the body. Thus one of the benefits of taking ascorbic acid is it helps your immune system to do its job properly to ensure your health. Ascorbic acid is required by the body to process all toxins for elimination. When there is too much toxins in your body, your liver requires ascorbic acid to process and flush them out. Vitamin C benefits you by lessening the negative side effects of excessive vitamin A in the body. Too much of it is bad for your body but when enough ascorbic acid is available, it becomes less toxic. What is the health link between vitamin C and cancer? 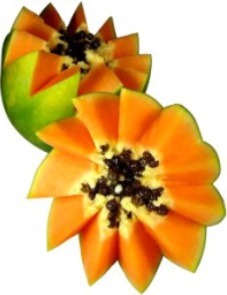 Ascorbic acid is considered necessary in cancer prevention because it . . .
toxins such as cigarette smoke. helps produce other antioxidants such as vitamin E.
Would you like more information about health benefits of ascorbic acid? Click here for the Facts About Vitamin C.
What are excellent and natural vitamin C food sources? 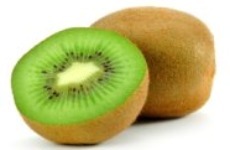 Fruits such as kiwi are rich in ascorbic acid. Their consumption is highly recommended because one of the health benefits of vitamin C is cancer prevention. It's interesting that green leafy vegetables such as spinach are one of the best sources of this vitamin. Click here for the list of foods high in vitamin C.